The Cliona’s Foundation Walking challenge will take place on Saturday 6th October and the Foundation is looking for people to walk with them and raise monies to help support families with the non- medical costs of caring for their child. 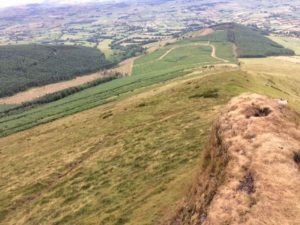 This year’s walking challenge is the Paradise Hill Loop with a trip up to “The Pinnacle “ .The Paradise Hill Loop is on western end of the Galtymore Mountains in Co.Limerick and there are spectacular views of the Golden Vale and the Glen of Aherlow along the route. The walk which reaches a high point of 700m will take approximately 3-4 hours and requires a good level of fitness. Commencing from and returning to the Community Centre in Anglesborough Co. Limerick , there is ample parking and the group will gather there from 9am for a walk start time of 9.30am. 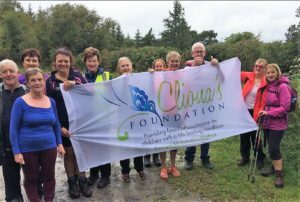 “This is our 2nd year organising a walking challenge and our trek up Galtymore last year was a fantastic day out “said Brendan Ring, Co-Founder of Cliona’s Foundation. “We are hoping that some of the many that walk and climb every weekend either individually or as part of walking club /work group will lend their support and are looking for people to raise monies through sponsorship or a minimum donation of €50.We currently have 23 families on our waiting list that need support and all the monies raised will go directly to some of these families. This year we are delighted to have the support of the Anglesborough Community Council, Gallahues Bar & Restaurant of Ballylanders and Supermac’s SuperSubs who are ensuring that the group will be well looked after with refreshments after the climb .